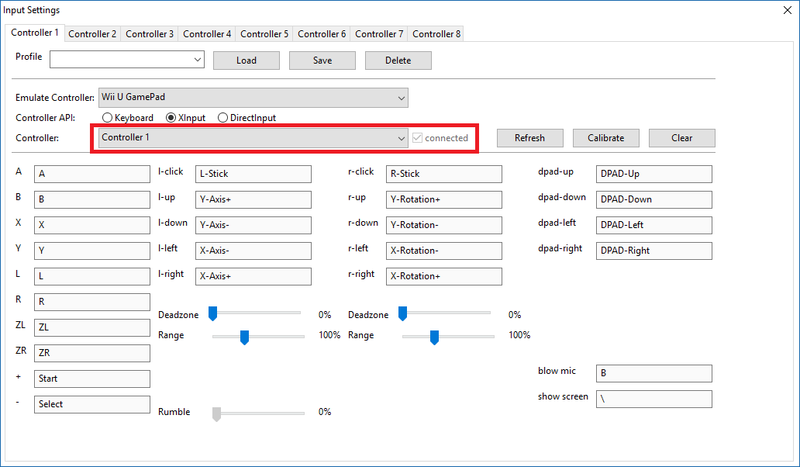 Hello, I have taken an already existing mouse to joystick script created by Helgef on the AutoHotkey forums and modified it to work with CEMU in a more streamlined way. 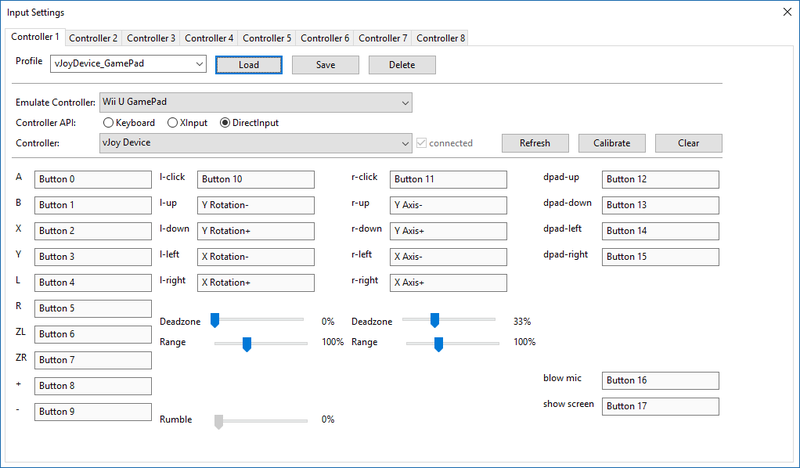 The script will allow you to control the virtual Joystick using your keyboard and mouse. The only keybinds that are hard coded into the script is that mouse movement is tied to the Right Stick, every other key is fully customizable. I've even created an interface that allows you easily set up your keys in a familiar manner. The following guide has been adapted from my original Reddit post. [Updated Video - April 5, 2018] [BSoD Gaming made a video] that shows how to set this up. It is incomplete, but for the most part it shows the initial process very well. It doesn't get into details about anything, and while it recommends using the alternate mouse movement detection be aware that this is still experimental and already implemented slightly different from the version used in the video. 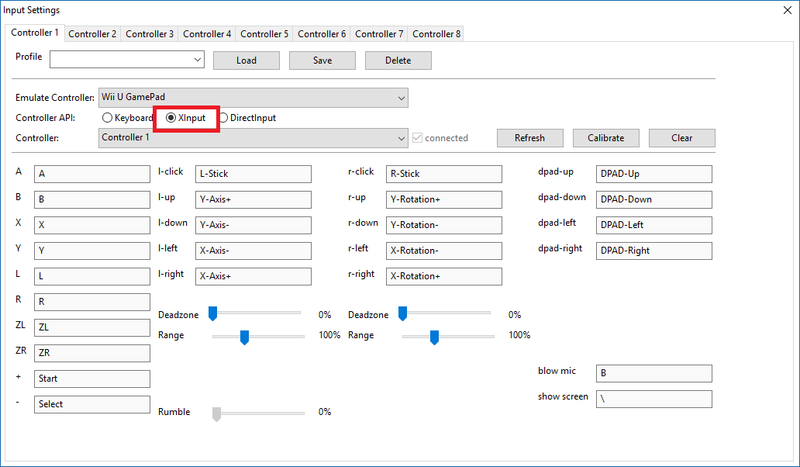 Also, changing your mouse sensitivity will only really have an effect with this experimental mode, not really on the normal mode. 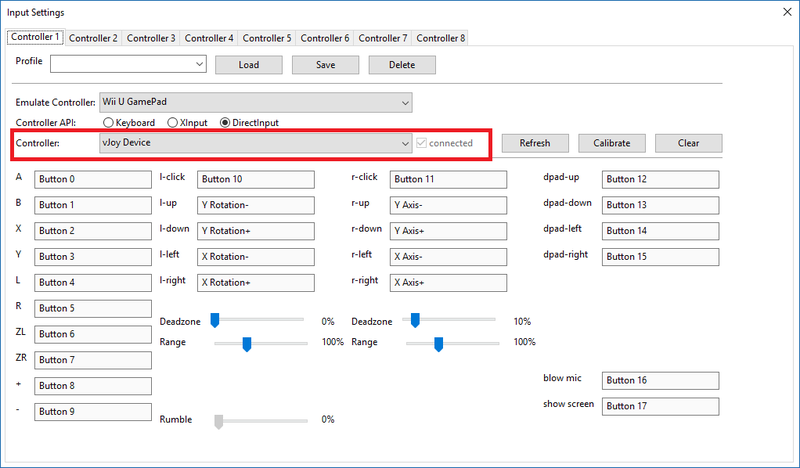 Along the same lines, the sensitivity he has in the settings are invalid (negative values make no sense with how it is implemented and might even cause issues), but again since he is using the alternate method they have zero effect on the program. 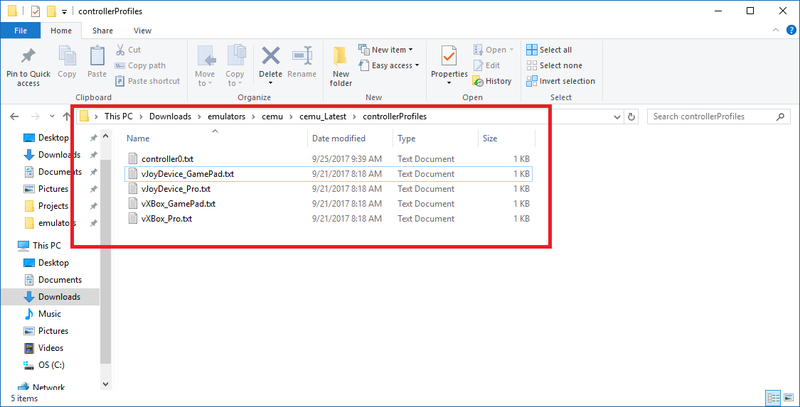 For this to work you must have vJoy installed, I provide a compiled version of the AutoHotkey script, so AutoHotkey itself is not needed unless you want to run the script un-compiled. Set it up so it has at least 18 Buttons, I set mine to 32. Script will reload and if the message box doesn't show up again you should be ready to use vXBox. 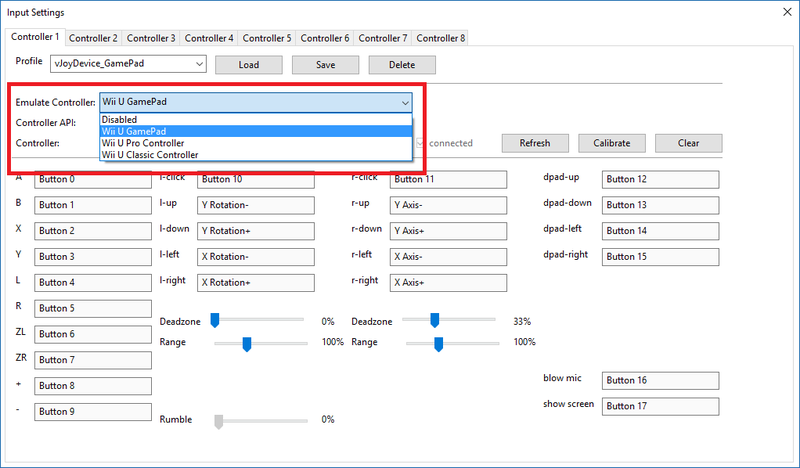 Choose the appropriate Profile for the type of controller you are setting up. 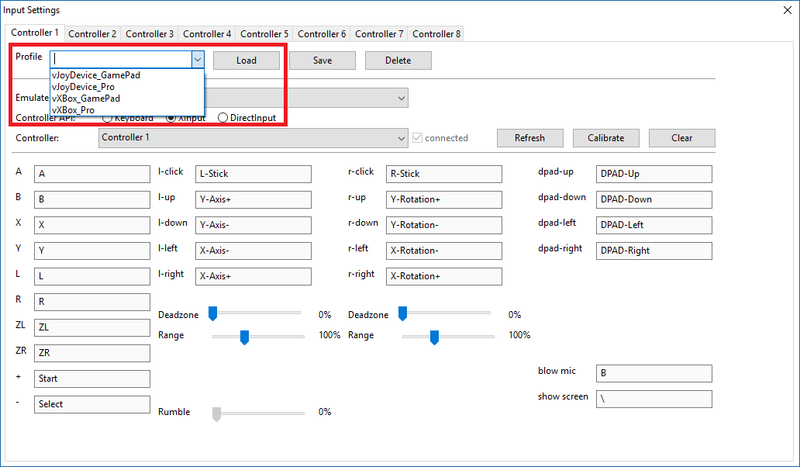 Note: feel free to manually remap the blow mic and showscreen buttons here, as the vXBox controller doesn't have enough buttons for them to be included. Double click the .ahk file if you have AutoHotKey installed. Run the exe if you don't. IF you don't want to customize anything you are ready to use the Script. The first key is mapped to Button 0 and so on. This is accomplished by adding the keys together using the | symbol. i.e. 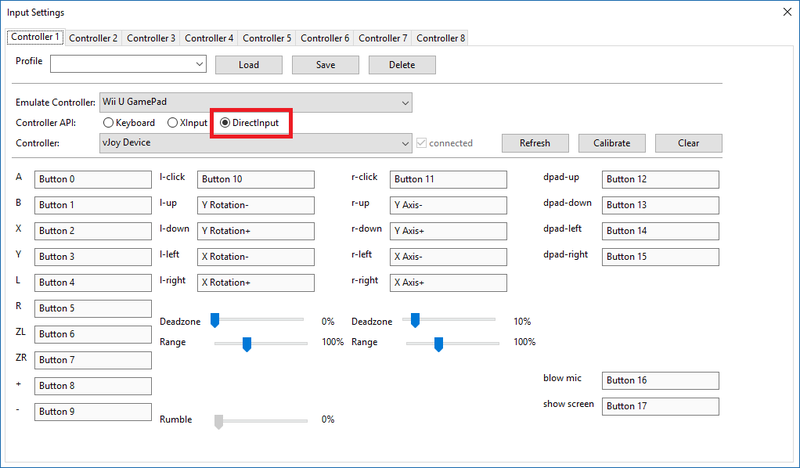 you'll notice Xbutton1|e, is what I have set for A -- allowing Mouse4 and e to both work. I recommend setting up the keys with the Helper as below, then adding in any desired secondary keys manually. 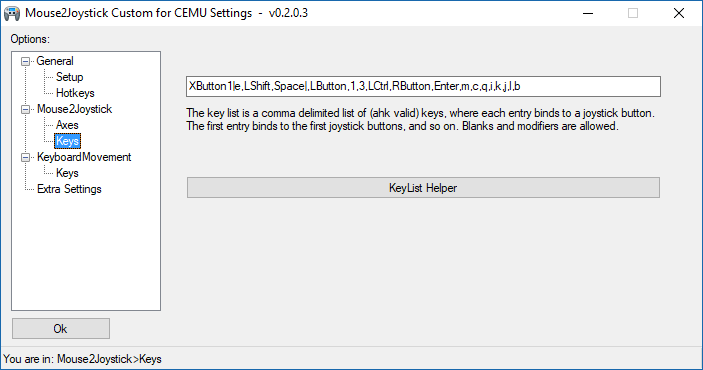 This is an interface that closely matches CEMU input layout, which will make it easy to create your KeyList. When you click save you will see the KeyList string update itself with any changes you've made. If you'd like to add secondary keys now is a great time to do it. 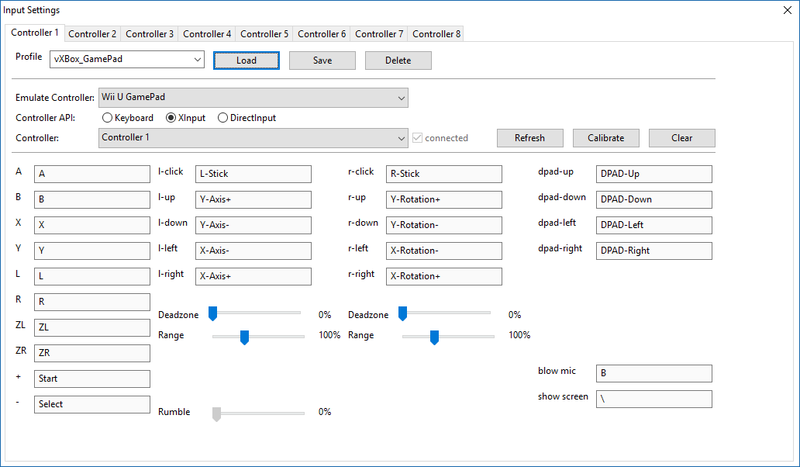 For an overview of the other settings check the original Reddit Post, or the GitHub ReadMe. Or you can download it directly from the end of this post. 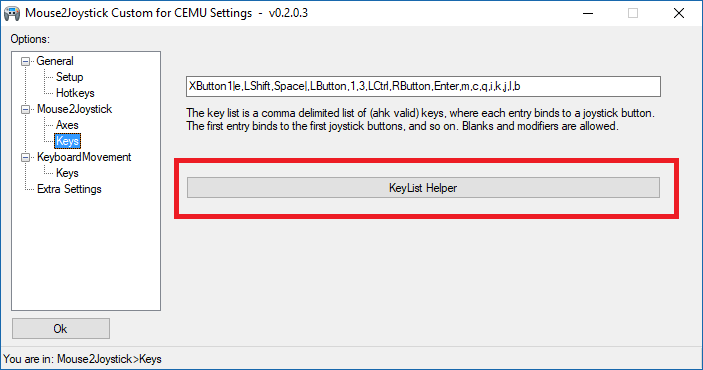 Changing your keys within CEMU isn't recommended as it is tedious and finicky. 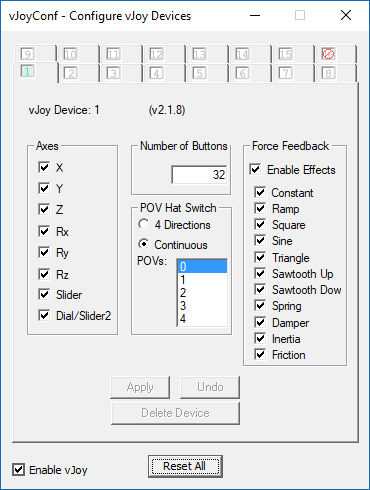 The script allows you to easily change which key is assigned to which vJoy button. 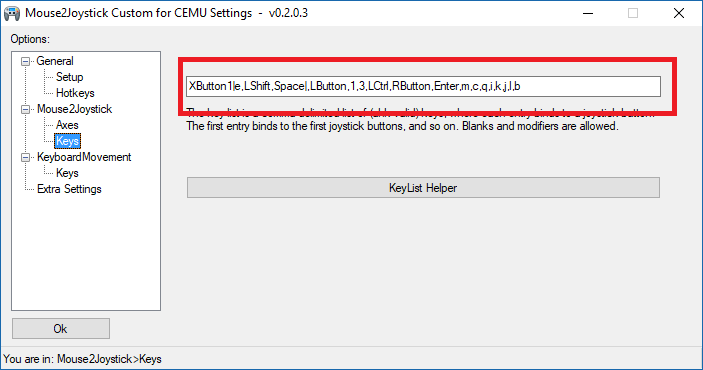 Then the button assignment in CEMU doesn't matter at all as long as each key has something. Note that the in-game camera settings affect the camera speed the most, so try changing there if camera speed is your only issue. 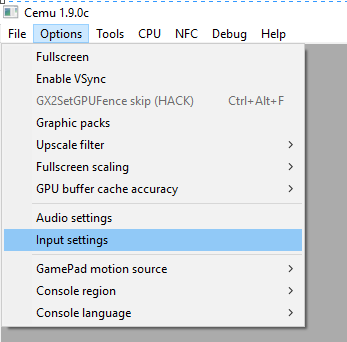 If you run CEMU as an admin, then you need to run the script as an admin as well. Please feel free to comment here or on Reddit for help, or send me a PM. 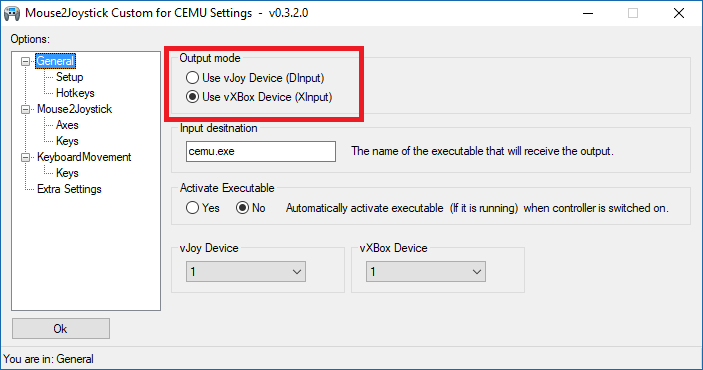 But it could be me having messed up the install, thought I no longer need vjoy so I uninstalled vjoy after scpvbus was installed and then reinstalled it (vjoy). I tried to manually reinstall scpvbus, but it gave me 'devcon.exe failed'. 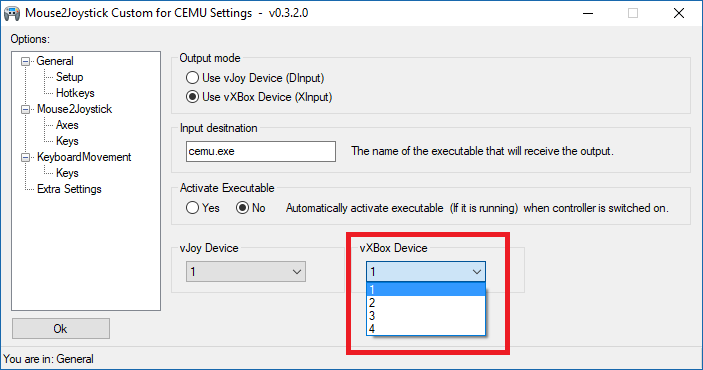 With vXBox, mouse cursor doesn't hide and randomly triggers left click on cemu... thought I no longer need vjoy so I uninstalled vjoy after scpvbus was installed and then reinstalled it (vjoy). Yes vJoy is still required as it is what provides the vGenInterface.dll, just an alternate interface, that I attempted to wrap myself based off evilC's original code. If you enable the usevXbox setting and run the script does it ask you to install the ScpVBus still? if not then it must already still be installed correctly. I'm not sure why the script would stop acquiring the mouse any differently from previous versions, I've not encountered that in my testing. 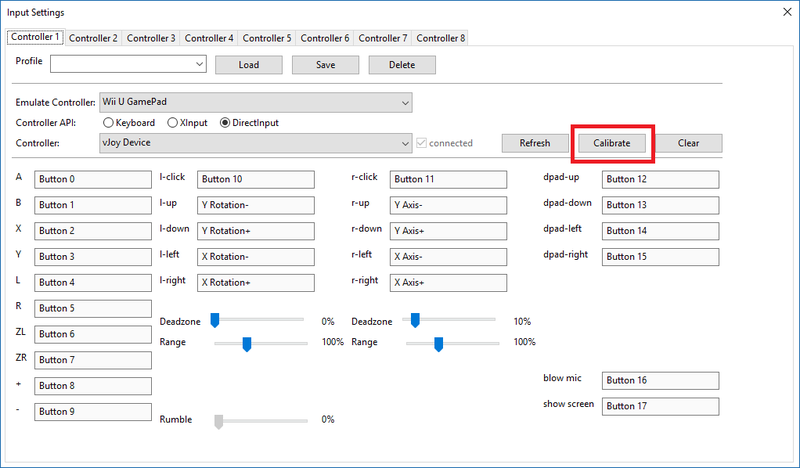 Do other keys, and mouse movement still work, just hiding and clicking broken? I did already update to version 0.3.0.1 because I noticed an AND instead of an OR in one of the vXBox button presses, causing strange behavior maybe that is related if the problem starts when pressing one of the thumb buttons? Let me know, as I want to make this to work as it opens up my script for much more than just CEMU even, XInput is used by a lot, and I've already tested in STEAM Big Picture and it looks promising. Last edited by CemuUser8; 21.09.2017 at 19:03. Last edited by NAVras; 21.09.2017 at 19:25. Ok, I will do some more testing myself, just randomly clicking, and clicking as fast as possible. See if I can replicate the problem. I assume the problem doesn't occur if not using vXBox? Edit: I can't seem to reproduce the issue at all, I will test again on my Desktop at home, where I get better frames and will have more time. Last edited by CemuUser8; 21.09.2017 at 19:39. Oh no, still got the same problems without vxbox, tested with two mouses. I'll try using a different usb port and reinstalling mouse driver. Last edited by NAVras; 21.09.2017 at 21:12. Oh no, still got the same problems without vbox, tested with two mouses. That is certainly very strange behavior... I'm not a fan of how I hide the mouse cursor, but have yet to find a better way that works. Although in this case it seems like something else is going on as well. I'm not sure if it is the forum formatting strangely but when I copy paste your keylist I get: Back space instead of Backspace. I don't see how that could cause your issues, so if it really does have that extra space there it's probably not related. Very Interesting, I will play around with your keylist later tonight. PS. Other quick thought, do you happen to have any other AutoHotkey script running, or anything else that would intercept input? Last edited by CemuUser8; 21.09.2017 at 21:25. Last edited by NAVras; 21.09.2017 at 22:04. Good to know, I will do a code compare and see what I changed that could've introduced this bug. I know I added a lot of logic, I wonder if the button press code can take too long now? Not sure but will look into it. Thank you for your feedback, and willingness to test. 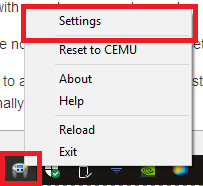 Edit: So in version 0.2.0.3 there was an invisible window created by the script that overlayed the CEMU window. This would then be what received any fall through clicks I guess, however on my two computers I was never able to reproduce your bug so this is only a hypothesis. Edit 2: Updated again to v0.3.1.0 which re-added the invisible window overlay. Should resolve this strange case. Last edited by CemuUser8; 22.09.2017 at 14:35.